UPDATE, Friday, March 30, 8:45 a.m.: The votes are in: The ultimate Malt Madness matchup is between Edgartown’s island brewery, Bad Martha, and new(ish)ly-in-Everett, Down the Road Beer Co. Voting continues through Wednesday, April 4—and so does you chance to win a $25 gift card from Craft Beer Cellar-Fenway. The Malt Master is crowned on Thursday, April 5. 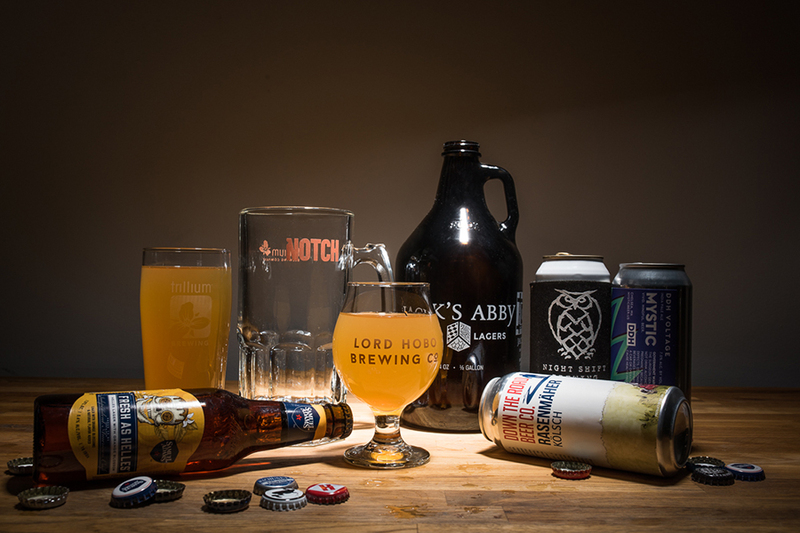 The Final Pour in Boston magazine’s inaugural Malt Madness tournament pits Bad Martha Beer up against Ipswich Ale Brewery, and Fort Hill Brewery up against Down the Road Beer Co. The four regional finalists are likely ones you’ve seen at your local packie—but they may not be the ones you expected to see in the semi-finals. Perhaps your holiday weekend calls for a beer tasting? The Final Pour will be narrowed down to two in quick order: Look for the Malt Madness finalists on Friday morning, March 30. Then, voting continues over Easter and Passover weekend. We will announce the CBC gift card winner on Thursday, April 5—the same day we will crown a Malt Master. NO PURCHASE NECESSARY TO ENTER OR WIN. Open to legal residents of MA, CT, ME, NH, or VT, who are 21 years of age or older at the time of entry. Void where prohibited. To enter and for complete sweepstakes rules, go to https://www.bostonmagazine.com/malt-madness-2018/. Entries accepted from 3/22/18 to 4/4/18. Sponsored by Boston magazine.